Crashed spaceships and dead Stormtroopers – it looks like there’s going to be a lot of action in Rogue One (or Rogue One: A Star Wars Story– to give the film its new title). Stealing the plans to the Death Star ain’t like dusting crops. 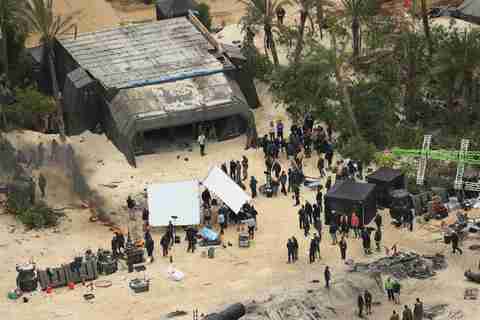 These new set images show that Gareth Edwards’ standalone instalment of the George Lucas created series might have the harder-edge they’ve been talking about. If I were an Ewok, I’d be worried.